Hello Beautiful, Today I'm going to have a hair product review for you girls. So I've been trying out this shampoo for about two weeks now. I'm sure that most of us have smooth and beautiful hair. Okay let's be honest here, I don't have long and smooth hair, I have hair extension and damaged hair. I don't like to wash my hair because it takes ages to dry and I have to detangled almost every single strained of my hair. I want a product that can help to make my hair feel alive again. Recently I was invited to Jemile Fran event. This is a hair care brand from Japan. 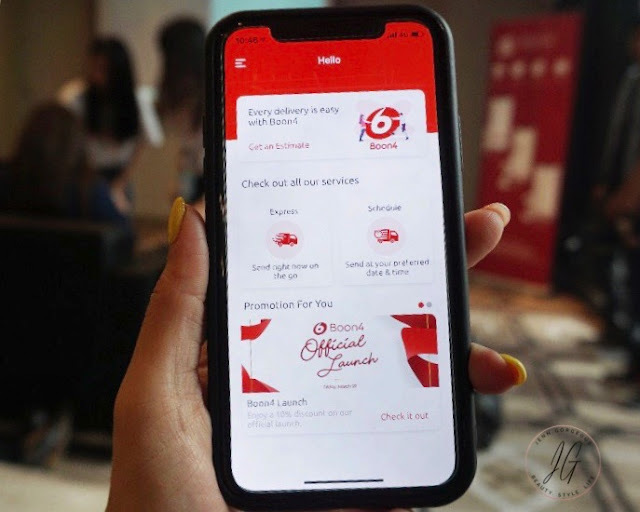 The exclusive event was held at Number76 Starhill. At the event, they pampered us with Jemile Fran product. That's the first time I tried out jemile fran hair shampoo and treatment. After that day, I went home and started using jemile fran shampoo every time I wash my hair. So let's get started with my review. 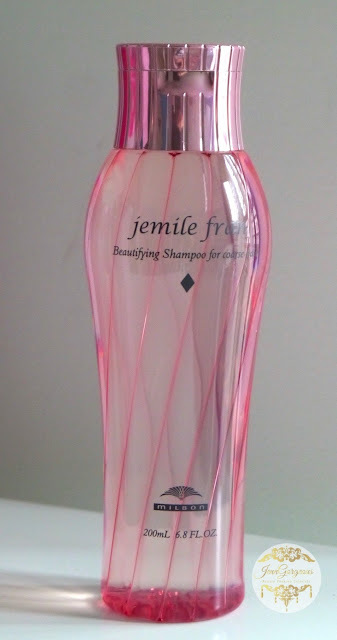 Jemile Fran hair shampoo and treatment available in normal to coarse hair, and fine hair. In every bottle of jemile fran shampoo, it contains fine hyaluronic acid and protein CMADK*2. So basically these two main ingredients will help in reducing tangles problem. The main reason why hair tangle is because our hair cuticle is in distorted condition. So when fine hyaluronic acid penetrate in the hair cuticle, it will expand into circular form. 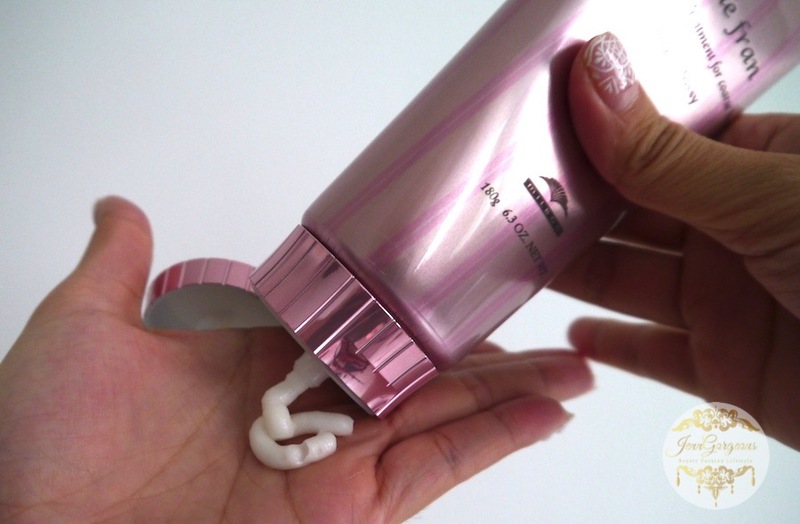 With the help of CMADK the expanded hair will not tangle even after you blow drying. This is why Jemile Fran claimed that beautiful hair texture can be achieved from shampoo ! For my current hair problem, I was suggested using the normal to coarse hair. This is how shampoo packaging look like. It is a plastic bottle in pink colour. You can just squeeze out the product. The shampoo is clear transparent with light sticky texture. 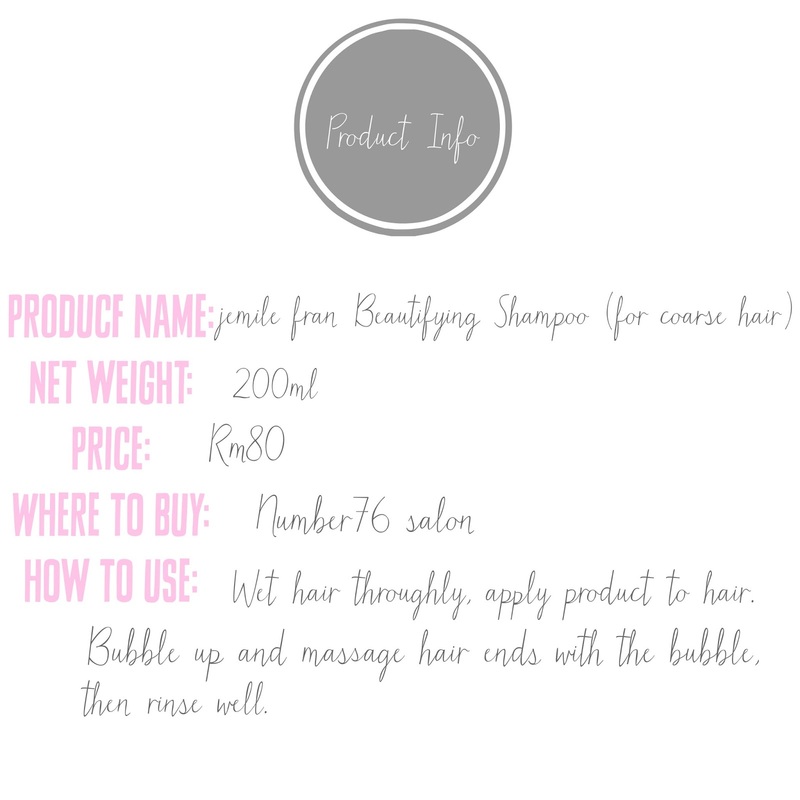 It creates bubbly hair shampoo. And it has a peony fragrance which smell really nice. This shampoo is doing a great job, it does really give me a lesser tangle hair after wash. My hair feel clean and smoother. I like the whole packaging, simple and pretty in pink. And I'm very impressed that my hair take lesser time to blow dry now. Although it doesn't magically turn my hair into a super healthy one, but at least it really look more manageable and less frizzy. I highly recommend that you girls try out this shampoo, I'm sure you will see a difference before and after. I just wish that it come is a bigger size packaging with a better deal. Jemile Fran hair treatment available in two types, Silky x shiny or Juicy x glossy. For silk x shiny hair treatment it contain smooth lipid which makes the hair feel silky smooth and shinier. 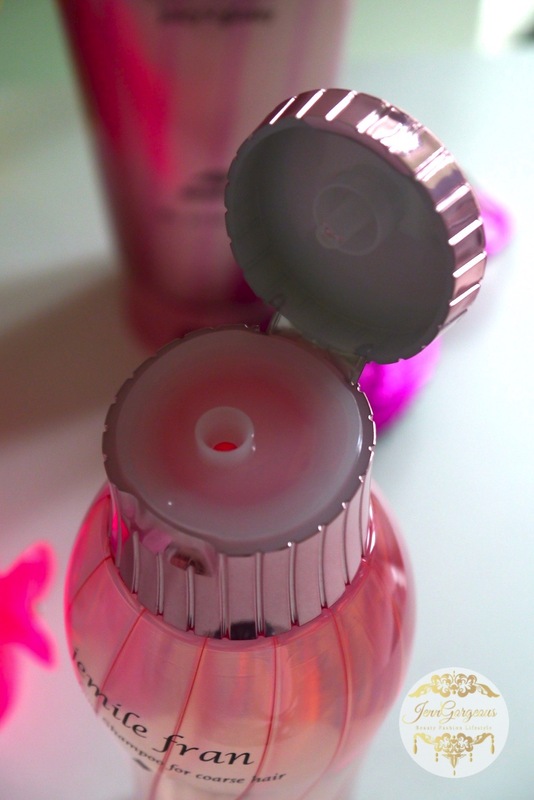 As for the Juicy x glossy, it contain moisture lipid which can rejuvenate hair and achieving a glossy looking hair. jemile fran hair treatment is in a pretty pink stripe tube. I think everyone will love the packaging design. I love how pretty packaging will affect my mood while using a product. It has rich creamy texture. Just squeeze out roughly 50cents, or more if you have lots of hair. I'm sure you will enjoy your shower with this treatment, because it smell relaxing and calming. It has pure peony fragrance. So far it's a good product, nothing to highlight. But if you insist on something, probably the tube packaging, because you might ended up with some left out in the tube, and you need to cut it off to just take it out( troublesome). I like it! I'm glad that this treatment works well on my hair. I don't know if you girls have encountered before that some treatment seem like stick on your hair and its hard to wash it off, and after you blow dry your hair look oily. This treatment is good it doesn't leave any oily feeling or looking after use. I can't help from keep touching my hair because after I blow dry, my hair feel smoother than ever. I wish that I can easily buy it through online. I hope you girls enjoy reading my review. If you girls have any question, please leave me a comment down below. Also if you are currently using this shampoo, you can leave your personal review in the comment box down below, I wanna know how you feel about this product. For guys, this is also a great gift. They do sell in a set like this and it come with a free travel kit. You can purchase this at Number76. Disclaimer: This is a sponsored post with 100% honest review.